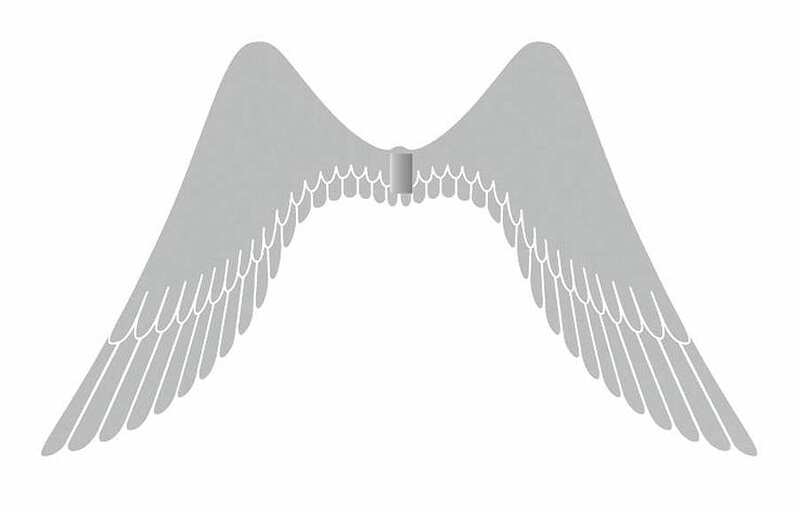 HomeBlogHome DecorPetits Anges Sticker Knife Stand by Domestic. The idea is simple, practical and very creative. 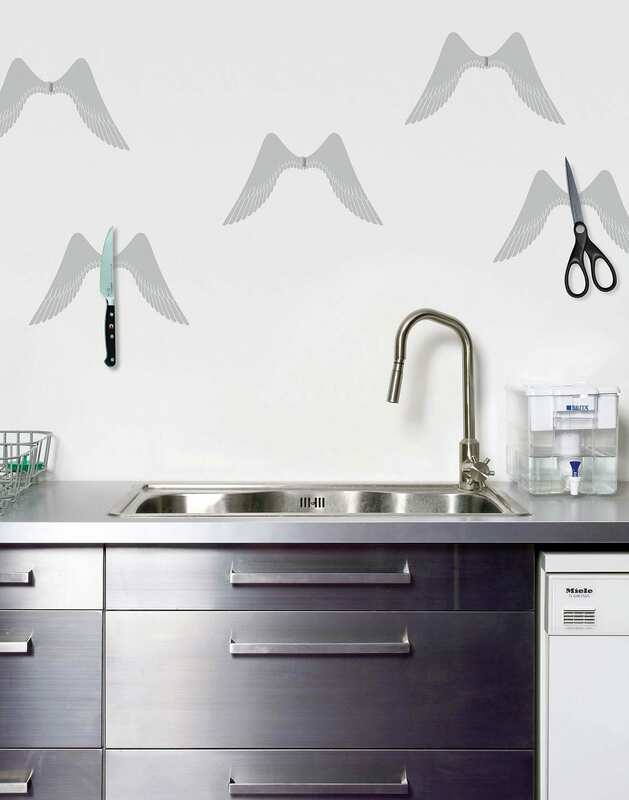 A magnet keeps the knife attached to the wall, while the funky wings vinyl sticker adds a nice decorative touch. A clever storage solution for your knives, that unlike the conventional boring magnetic knife stands, is original and eye catching. With a little imagination knives, scissors, forks and any other metal kitchen utensil will fly casually inside your kitchen. 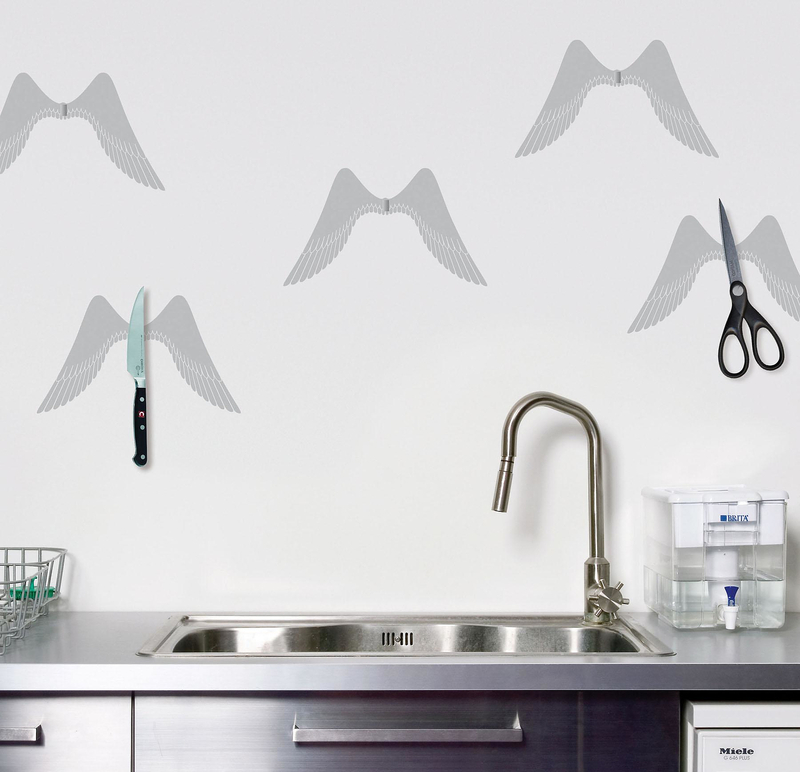 The Petits Anges Sticker is easily attached to your kitchen tiles without any tools at all. Just stick it to wall with its double sided sticker and you are done. And if you ever need to remove it the process is equally simple. A great design, elegant, creative and cost effective tat the same time. 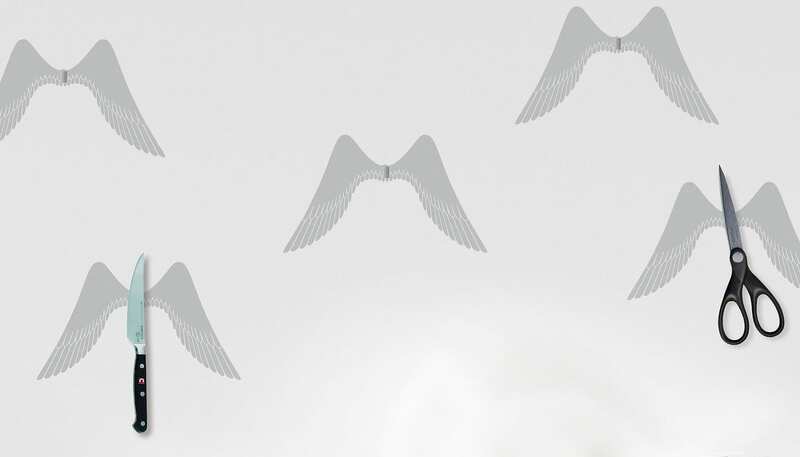 Petits Anges Sticker is sold in sets of 5.